Want to sell your property but don't know how to get it looking it's best? A consultation with Hunter Home Staging will give you the help, advice and support that you are looking for. Or, do you have an empty property that you want to furnish before selling? Hunter Home Staging can furnish it all for you. 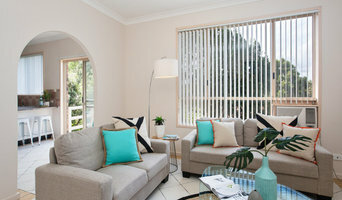 For more information call Hunter Home Staging on 0428558964. Naomi Findlay's primary goal is to help you with the sale of one of your biggest assets – your home. Naomi uses her experience in the styling and renovation space to work with you to sell not just a home, but a lifestyle, also tapping into the emotions of the buyer, that so often drive a sale. 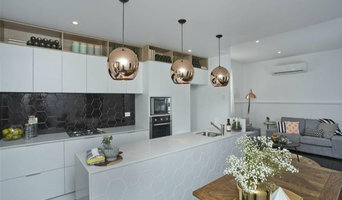 See Design Consultancy offer a range of property styling services to assist sellers with the presentation of the home in preparation for and during the home's sale period. We offer in home consultations where we advise the home owner how to style and present their home with a variety of options such as; Discussing how to best position and style the existing furniture and accessories in the home to maximise the space and create the most pleasing layout. Advise on what existing furniture and or accessory items may benefit in being be replaced with See Design Consultancy items for hire Deliver and style selected hired items in the home in preparation for chosen Real Estate agencies photoshoot. Provide the seller with photo references on how to maintain the style for each open house inspection. Daniel started DW Design to offer something different to the home staging industry in Newcastle and the Hunter Valley. That is a fresh approach that buyers can relate to. With Daniel's hands-on approach to helping clients prepare their homes for sale, he takes the headache out of the process. Some clients have called him the Nurofen of property styling. With a coffee in each hand and a throw in tow, he will make your house pop. Here at Plush Home, we know good design has no limits. From when we first walk in the door of your property, we get excited by the potential that every house has and the beauty that we get to help create within it, for sale and first impressions, or for clients to live in and love daily for their own forever home. We set up plush home, to design creative solutions for all evolutions. The market is constantly changing, styles and design are constantly changing, and we evolve with it, to make sure your home stands out from the rest. We aim to provide our clients with high quality design, for affordable prices. We believe interior design doesn’t have to be out of reach due to expensive prices, which is why we accommodate all client budgets. For selling, you only get one chance at a great first impression in today’s competitive market, and we ensure the impression your home makes is one that reduces your time on the market, and generates the highest possible sale price. We make your home highly desirable in its appearance, so you receive a quick and profitable home sale from an affordable styling service. Who doesn’t love a small outlay that creates profit in your pocket, takes out the stress of selling and makes your home stand out from the crowd? If building and renovating, we look to create designs and spatial layouts that are unique to each individual person, so your house fits to you, and not to a stock standard market. It is our passion to design your home in a way that makes you fall in love with it more and more every day. Our goal is to provide all our clients with good value for money packages that come with high quality finishes, professional service and a personal touch. When you book with us, you get two dedicated and passionate people, looking after your every need, every step of the way. At Lakeview Blinds Awnings & Shutters, we are specialists at manufacturing modern and high quality awnings, blinds, shutters and security doors and window. Our products are made to provide you security as well as for improving the beauty of your desired area. We provide our service at Newcastle, Maitland, Hunter Valley, Port Stephens and Central Coast. You are able to purchase home enhancement products here in most affordable price. Property Styling for the sale market. We work with all types of properties including houses, apartments, terraces, bedsits, deceased estates and period homes. We stage empty properties as well as owner occupied. We have supplied furniture for movie projects such as Tomorrow When The War Began. Also we have styled shipping containers and other industrial properties. Long Road Home Designs was born out of a love and passion to create cool and authentic interior schemes in the home, without spending big bucks. Well we have now been operating for over 4 years, and although the retail side is now closed this has allowed us to solely focus on our true passion which is Styling. After building four homes ourselves, I wanted to take my love of design and make it formal. So I studied Interior Design and received my qualification at the start of 2013. Whilst researching for assignments and finalising the design of our own home, I found the items I truly loved and wanted were completely out of my reach. So I decided to open a local store which would source and stock unique, urban inspired items which would be not only on trend but also affordable. After 4 years, we made the hard decision to close the doors of the retail store to concentrate on building the Design, Styling and Property Staging side of the business. Feedback from customers has been really positive, and everyone loves my concept of transforming the business. We have helped out many customers through providing amazing and unique products in our store, now let us help transform your home into something stylish and just right for you. 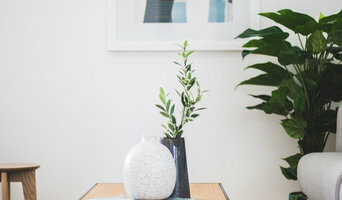 The Home Stylist or Stager works to prepare your Newcastle, New South Wales home for the New South Wales real estate market. Find a home stylist or stager on Houzz. 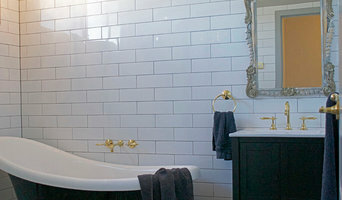 Narrow your search in the Professionals section of the website to Newcastle, New South Wales home stylists. You can also look through Newcastle, New South Wales photos by style to find a room you like, then contact the professional who styled it.